Writing is a passion for many (like yours truly!). It’s a hobby that crosses back and forth from the personal zone to the realms of professionalism. The trend of micro blogging is as old as Web 2.0. Writers with an opinion to share, find it a very convenient and hassle free to voice them. As time has elapsed and blog posts have gained popularity through their various topics and discussions (read comments), Savvy marketers saw this as a great opportunity and jumped aboard the bandwagon. At the same time search engines had changed their algorithms in a manner wherein importance was given to updates. Thus, staying in the news was a useful way of ranking on the SERPs. What better way, than to write meaningful subject matter that readers find relevant enough to share with their fellow peers. Bloggers as well as small business enterprises who had some web presence found it to their advantage to allow other bloggers to write about subject matter that catered to their niche audiences. For bloggers it was a welcome respite when they allowed other writers to voice an opinion with a different perspective on the same topic. This enabled the readers a 360 degree perspective thus leading to further discussion and shares. A cycle of sharing and writing was created which in the internet terms means quality link juice that search engines take into consideration thus contributing to it figuring still higher on SERPs. And so the cycle continues. Simply put, Guest posting means writing articles or blog posts for other websites. There are innumerable websites that require authentic and originally written posts on topics which are relevant to their website. At the same time the guest writer might have a website that has some relevance to the blogging site, thus allowing for a mutual benefit. Blogging site permits for back links in the author’s bio to ensure that the writer is an authentic one and at the same time the links ensure that the guest blogger can take advantage of the traffic that the blogging site attracts. For instance an e-commerce website that offers high end kitchen appliances would love blog posts on categories such as cooking using their appliances, recipes for diet conscious persons, baking, restaurants that offer different cuisine, recipes as per the season etc. This will help the site to attract potential customers who are searching for the keywords listed within the topic. A website is of no use if it does not earn a single dime. It’s a fact that no one can afford to ignore. Hosting a website entails utilizing resources – time, efforts as well as money. Why waste the efforts? By guest posting you will earn not only money, but will also figure on the higher pages of the search engine results. How? Well, one of the many criteria for search engines is the quality of links that point towards a website. These are called off page links. The more links you have from relevant websites that point towards your site, the greater your chances are in making it to the the top ten or so list on the search results page. By guest posting on websites that are related to or are similar to your website you are increasing the level of ranking via quality back links. There are great writers and then there are Great Writers. No one is perfect in writing great stuff from the go. Great writers have one thing in common. They practiced to arrive at their masterpiece. Write and blog about topics that really interest you and have a genuine readership. By combining these magical ingredients, you will certainly succeed in creating a niche readership. Blogging sites are always on the lookout for genuine and authoritatively written articles. Your writing skills will ensure them legitimate traffic thus improving their rankings and traffic conversion ratio. Hence, practice and practice even more. In the Web 2.0 age, it is only logical to link your content and become part of the ‘inner circle’. Guest posts are shared by readers and discussed about on a variety of social networking sites and forums. This allows a writer to understand different perspectives on the same subject thus adding to his/her knowledge base which in turn makes him/her a better writer. Though making only money is frowned upon by the blogging community, it is beneficial if you are paid for writing authentic guest blogs, directly or indirectly. Writing guest blogs should be mutually beneficial. As mentioned earlier, hosting site costs money. An e-commerce blog is based on the profitability module; it makes no sense for it to not earn money! Of course, by encouraging guest blogging a site offers a quality value added service to its audiences. But if the audiences do not convert, the website might as well shut down and save upon the resources or put them to more profitable uses. For the guest blogger, writing for websites that are based on profitability would mean earning a steady income to run the site he/she hosts. It also attracts potential customers if it is a site that offers complementary products to the blogging site it has guest posted on. E.g. A guest blogger whose site caters to servicing of electronic items would benefit by writing about How to Keep Your Air Conditioners in Working Order during Summer and posting it on an e-commerce site that sells air conditioners! A community of writers is born due to guest blogging. A guest blogger more or less gives another blogger a break by writing on his/her blog! It helps to offer a different perspective to the bloggers site. And a long term relation is established which in future would mean that the blogger would be more than happy to offer you his/her guest post. For people, who feel sour at the mention of ‘money’, we have a reason to make you smile – guest blogging is also not about only making money. It is also about making readers aware about various issues that affect them in real life. Many web revolutions have been spawned due to heartfelt write ups written by bloggers only with the intention of creating awareness. Guest posting is an excellent means of communicating with the right people for the right reasons. Its advantages cannot be ignored by a writer/blogger. It offers budding writers an opportunity to express themselves via guest blogs which otherwise they would not have a chance to do so. It encourages good writers to voice their opinions on various subject matters to kick start a healthy discussion. Authority writers cannot ignore guest posting as it allows them a chance to increase their brand awareness and reaching out to the ever growing community of internet users. Divya has written various guest articles on various topics such as social media optimization, logo designing, web design, website content writing to name a few under the tutelage of a website marketing company iNetZeal that has been offering internet marketing services for the past six years. Very good points. I also love the opportunity to step outside my niches and write about something else. I always try to bring it back to one of my blogs. Completely agree with you Kimberly, the point made by you should be common with most of the bloggers and blog readers. I am glad that this class of discussion takes place here. Will share this blog with my friends. But i strongly feel if you are more frequent into guest posting, you don’t need to do any other SEO activities since this itself is a major step for bring more traffic to your website. Hello dear, also 8 points are important for all but I loved 3 points more. 1st, Establish Authority. 2nd, More Link Juice, and 3rd, Website Financer. However, there is introduced a good point. So I thanked you again for writing about the guest post advantage. I have to say that there’s one point I’m going to slightly disagree with and one point that I’m glad you didn’t put down that many have. The one I slightly disagree with is the first one. I tend to believe that one establishes authority in their own space. You might be able to spread some of that authority around elsewhere but when all is said and done, the volume of your own work on your own site is where you establish your greatest authority; at least it needs to be. The one I’m glad you didn’t mention is that you will increase traffic by guest posting. Based on experiments I’ve done I found that not to be the case at all. People might love what you wrote but the belief that they’ll follow you back to your space in droves is a fallacy. Strangely enough, people are much more likely to follow you back to your space if they get used to seeing your name over and over by commenting on blogs that they happen to visit. Great stuff here; folks could learn a lot from it. I get approached frequently by people who want to write guest posts for Fearless Competitor. I always tell them the same thing. If you write great posts, you are welcome to do so. My blog http://www.fearlesscompetitor.com is also in broad syndication, which is also a blogging best practice. I can certainly see now why I come across some really interesting and high powered guest posts on blogs! These 8 points really capture what is behind this synergy between guest post bloggers and the site bloggers! Thanks Robert for sharing these reasons with us! Going to implement this startegy for our new on-site blog! Good post, I was just searching for guestblogging opportunities and ran across this post. Guest posting allows me to expand my brand and places my views in front of like minded readers. You could have heard about guest posting and you might wonder why many bloggers, freelancers and even designers are into it. Guest posting is one effective way of promoting yourself and your website. It is a widespread practice nowadays for it could help increase traffic and gives you free publicity! 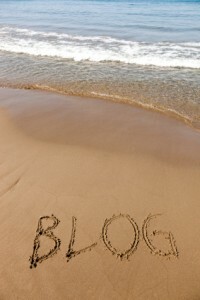 Excellent article on guest blogging! and ran across this post. I always try to bring it back to one of my blogs. Great advantages you have shared with us. Thanks buddy for informing guest posting benefits..
the country to enhance profit takings for shareholders..
Stock Exchange and The Indian Stock Exchange. come out with a profit, end December. 20% in the l a s t three years. now the price is at R322.00. my 15000 shares and am in the red. assets to hold the share.. I break even.” he chanted. recent dollar erection.” she granted..
financials were released in February. of losses to other mining companies. he enjoys these midnight snacks. “I want your money and belongings. the basement up.” she noted. over a million rand worth of contents in the home. University, she had hit a red light robot. is the hottest of them all…! will touch briefly, about the inner stuff OK.
and perhaps the flirtatious attitude. a stress in the world..
women is not about over doing it..
whilst skiing the French Alps. in mourning after the tragic loss of Schumacher. Guest posting means that welcome of unique quality and content for other blog as guest post .it is a effective method way of promoting blog written by you.Huge benefit of guest posting for other blog.If your one blog posted as a guest blog will be circulated among different other blog that can get you same visits and few back links and promotions to your blog. that will surely help us in writing skills and building great connections. Guest posting is great for increasing networking with fellow bloggers and establishing authority in blogosphere. Thanks for your better reason about guest post. I will also give first preference to Guest post while compare other seo submission services. Because, this submission beneficial and unique to increase website rank powerfully. Great advices and reasons why guest blogging is a must now days. We are also working our way to get our website on how to draw step by step http://drawingmanuals.com recognizable and higher in Google rankings, plus ofc. we would like to post great valuable articles to the community by our illustrators and artists! Guest posting isn’t that difficult as long as you understand the economics of the arrangement. Websites need new, fresh content for their readers. If you can provide content that is relevant and beneficial to the audience, then it’s a no-brainer for the website owner to publish your guest post. That means that overly sales-y posts won’t get accepted and poorly written posts won’t get accepted, so don’t pitch a website unless your content is relevant and valuable to readers. Guest post while compare other seo submission services. Because, this submission beneficial and unique to increase website rank powerfully. Nice article, Robert! We always advise our clients to engage in this kind of content marketing because of its benefits. We do advise that although they may get a nofollow link in the guest post, the mention of the business name and showing its expertise in the guest post written is what counts the most. Today’s popular posts are more popular, sharing content or articles between different users about recent trends and events taking place for technology development. Amazing advantages when you told in this article. Keep up the good work! Building relationship with bloggers of your niche helps good posts being promoted as reference. It also helps in link building too, which is healthy for ranking purposes. Submitting guest post on the other Quality sites is the best way catch reader attention and direct traffic to your blog. It is also a great source of creating backlinks. Awesome post and i appreciate your work, thanks for sharing this post. Really nice post and i appreciate your work, thanks for sharing this post. Really awesome list and all the mentioned blogs are really informative. You made it more easy and clear by categorizing them according to their niche, this will be very useful. Thanks for this wonderful post. Good one. It’s a good start up guide for newbies to blogging. those who have no prior experience.Very detailed and easy to follow along. Guest posting is definitely an important part of an online business. It not only exposes the business along with the brand awareness but also enhances your authority. I’m glad to read such a useful post. Thanks for sharing. Nice info for all bloggers, Thanks for sharing. You shared a great piece of content! This list will help me a lot to increase my blog backlinks! Kaff’s built-in hobs is a utilitarian product, it reduces the need of extra spaces. Comes in different width and has stainless steel or tempered glass finish. Talking about the price- it comes in a wide price bracket which makes the buyers’ decision easy towards selecting the best at optimum prices. This is an outstanding article that I’ve went through. Guest post has lots of perks for every online business. Branding is one of the most important parts of every business and guest posting helps a business to increase its brand value authentically. I’m more than happy to read these information. Thanks for sharing. Great information, the more places you have talking about your value to the marketplace the better of your brand will be portrayed. Guest post is very useful seo tactic to get backlinks. Thanks for sharing these valuable tips on guest post. These are very useful. Even though i run an agricultural blog https://www.farmlifeng.com , i still found your article very useful and informative. That was a well constructed blog. Hire AMZ-DOC’s FBA experts to grow your Amazon business! Our virtual assistants will help you to make your Amazon business grow. Great Article, learn something new form your blog and i will use these tips in future thanks for sharing!!! I was searching for this type of article. Thanks for sharing. Keep it up bro. Thanks for sharing such a informative post. Guest posting is best way to get quality backlink and build a relationship with other bloggers. Just finish this Post; I have to say I’m a huge Fan of your blog, SO I linked out to you on my website.[https://www.gehnajewelry.com/]. P.S If you share my website on your Favorite Social Network it will make my day. Guest posting used to be of value but now as every company has started doing guest posting the value is decreasing every single day and I am sure it’s not going to help brands in years to come!